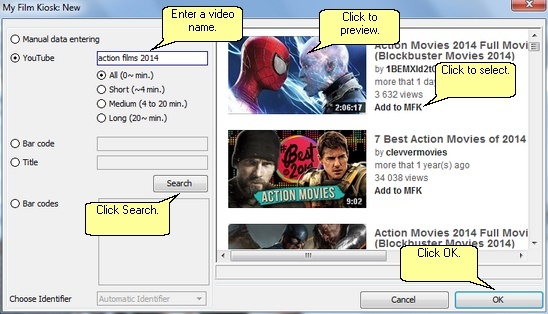 My Film Kiosk is a Video Library Management System for YouTube, MP4, FLV, AVI, DVDs and BluRays. This powerful and yet easy-to-use database software has been designed to store, organise and manage your YouTube videos, local video files and film collection. 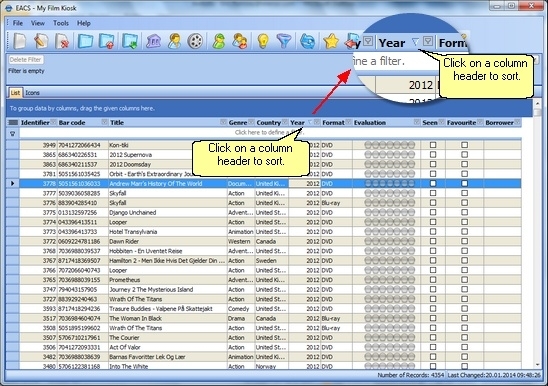 The system is capable of storing thousands of entries including name, description, genre, cover image, trailer and even user-defined categories. Films can be automatically added to your collection by downloading the data directly from our central film database. Easily organise your film library. Have direct access to film trailers.